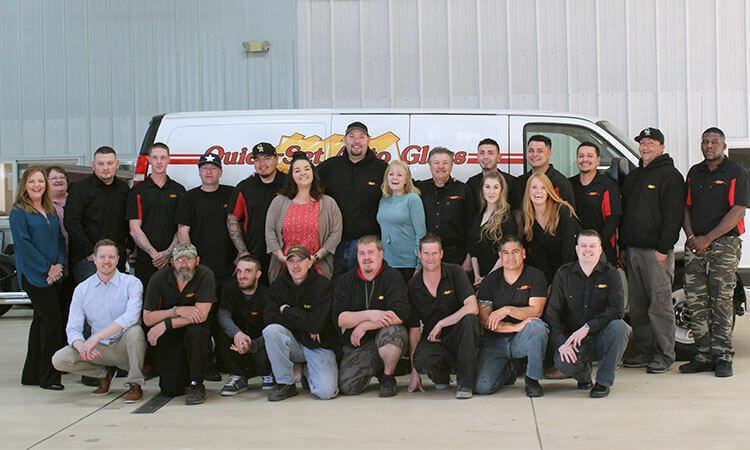 We are Quick-Set Auto Glass -- a family owned and operated company based in Colorado. We are driven by a passion for our customers and a love for cars. We know the auto glass business and have proudly been serving Colorado drivers for over 30 years. In 1996, the Short family took over the business and has based its growth on honesty, integrity and hard work. We take pride in being locally owned and operated. While national auto glass replacement companies are selling out to foreign, multinational conglomerates, our business is family-operated right here in Colorado. We're a family owned company that cares about your family too. Your safety and satisfaction is our #1 concern. Everyone at Quick-Set Auto Glass has one goal in mind and that is customer service. From the moment you call our dispatch center to the final polish of your new piece of glass, Quick-Set will be focused on your 100% satisfaction. Our fully trained and certified staff is able to answer all of your questions and will serve as a resource for your auto glass replacement experience. Our same day service and FREE mobile installation makes certain you have a new piece of glass when and where you need it! Automotive glass is an integral part of the safety of your vehicle. Many auto glass companies use poor quality materials that can lead to problems such as wind noise, leaks, and even personal injury in the event of an accident. When you select an auto glass replacement shop, be sure they are using equipment and materials that meet or exceed OEM quality. At Quick-Set Auto Glass all our auto glass, urethanes, moldings, and other materials used in repairs and replacements are guaranteed to meet or exceed the OEM’s original quality. In today’s economy, Quick-Set Auto Glass understands not all of our customers are able to shop solely on customer service and quality-- price matters too. That is why at Quick-Set Auto Glass we are committed to offering the most competitive pricing in Colorado for our customers! We encourage you to compare our price with that of our competitors. You will be hard pressed to find a deal that matches our quality and price. We love the classics! Join us for our annual Customer Appreciation car show. We're crazy into safety! Discover why auto glass is important for your safety.